» Arcteryx vs Norrona Jackets – Best Jacket Brands Compared! 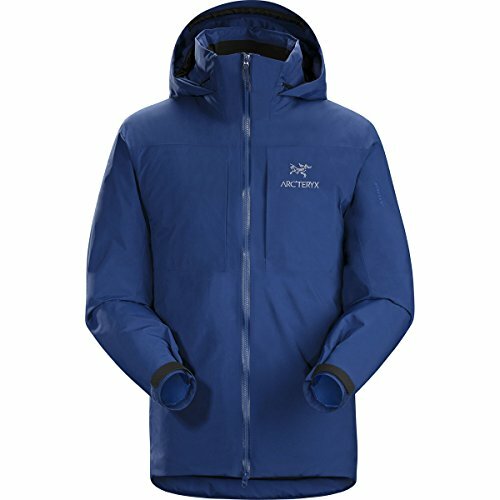 Arcteryx vs Norrona Jackets – Best Jacket Brands Compared! Cold and extreme weather conditions call for protection that is able to keep up with everything nature throws at you. When you’re searching for the right outwear protection, there are several brands and styles to choose from. Finding the right protective gear for all of your outdoor adventures can be a challenge given all of the variables that must be taken into consideration before making a purchase. Before purchasing an activewear jacket, you need to make sure that it has waterproof functionality and heat insulating technology so that you can remain comfortable while exploring the outdoors. To make your search easier, this guide will help you choose the right protective jacket that includes all of the most important features you’ll need while adventuring rough terrains. Two of the most prominent and well-known makers of protective jackets are Arc’teryx & Norrona. These two companies have been producing high-quality protective jackets for years & they are well-respected by many outdoor enthusiasts who take their expeditions seriously. Below, we’ll compare these two companies and give you product recommendations from each so that you can find the right protective jacket for your needs without a hassle. Arc’teryx makes an array of high-quality activewear gear designed to keep you protected against a wide range of outdoor elements and climates. Arc’teryx makes protective gear in various categories including boots, shoes, gloves, hats, travel bags, jackets, and more. Arc’teryx only makes activewear for men and women so you won’t be able to buy any protective clothing items for small children from Arc’teryx. Their product line is very robust, and all of their protective gear uses specially formulated textile materials that you won’t find anywhere else. If you’re looking for durable protective jackets and more outdoor apparel, Arc’teryx definitely has a product for you. Their unique textile fabrics are highly resistant and have maintained a pristine reputation throughout the years. Arc’teryx was originally founded in 1989 under the name “Rock Solid” and would later become known as “Arc’teryx” in 1991. Arc’teryx is a Canadian based company located in North Vancouver, British Columbia where they still operate today making high-quality outdoor clothing. The name Arc’teryx was derived from the word Archaeopteryx which is the name of one of the first known birds in existence. The company has a very rich history in the outdoor clothing industry and started out originally only making climbing gear. It wasn’t until 1991 that the head director of the company at the time Jeremy Guard decided to change the direction of the company to evolve into what it is today. In 1993 after a slew of company adjustments, Arc’teryx released the Bora backpack which was an outdoor accessory designed to help outdoor enthusiasts carry all of their equipment. In 1996, the company acquired a license to use GORE-TEX from its creator W. L. Gore & his associates. After obtaining the GORE-TEX fabric license in 1996, Arc’teryx started to take off in terms of producing unique outdoor technical apparel for men and women. Today, Arc’teryx has established itself as one of the leading outdoor apparel manufacturers producing a wide spectrum of accessories, clothes, gear, and more. Now that you know more about the company, let’s see some of their products up close and personal. Below you’ll find the top recommended Arc’teryx products for both men and women, we’re going to go into detail about their various benefits and how you can purchase them if interested. Arc’teryx makes a lot of different outdoor jackets for men in various styles and colors. Arc’teryx uses custom textile fabrics in many of their jackets which are great at insulating heat and repelling water amongst an array of other things. The jackets available at Arc’teryx come in various design styles and style options which makes their product line very versatile. Continue reading to find out more about Arc’teryx men’s jackets and how you can purchase one for yourself. The CERIUM HOODY MEN’s is a very lightweight bomber style jacket with a horizontal quilt pattern covering the entire jacket. The Arc’teryx CERIUM HOODY uses a specialized down insulation material that provides high-efficiency heat retention that keeps you warm in the even the coldest of climates. The CERIUM HOODY also uses proprietary Arc’teryx essential fabric that provides an unmatched level of protection against moisture. The CERIUM HOODY offers a minimalist design that carries a lot of protective design features in addition to having a high warmth to weight ratio. The CERIUM HOODY is very compressible and even features an Arato 7 wind resistant nylon shell for ultimate protection. The PROTON LT HOODY is a lightweight jacket that features self-regulating air-permeable insulation that keeps you warm automatically. The PROTON LT HOODY comes in a variety of colors and sizes which makes it available to a wide audience. The PROTON LT HOODY was designed with climbing in mind features a flexible design that allows you to move freely without restrictions while simultaneously providing a high level of protection. The PROTON LT HOODY uses synthetic insulation that retains heat when it gets wet, this insulation also features quick-drying technology to draw heat from the water and retain it while keeping you dry at the same time. The FISSION SV JACKET is a full protection jacket that features an insulated DropHood and a waterproof GORE-TEX membrane. The FISSION SV JACKET is rain, snow, and wind resistant which is great for those outdoor enthusiasts who commonly traverse extreme climates. The FISSION SV JACKET features Coreloft Continuous technology that provides consistent insulation keeping you warm all of the time. The FISSION SV JACKET also features an air-permeable layer that adds breathability to the jacket for maximum efficiency performance. The FISSION SV JACKET was designed for severe weather and packs waterproof insulation that is lightweight while providing an impenetrable layer of protection. Arc’teryx also produces a very high-quality line of outdoor protective gear for women. 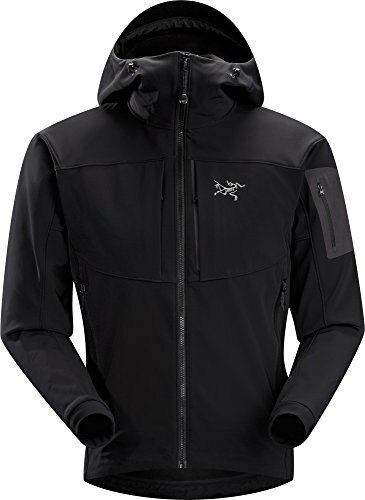 These well-produced jackets come in a variety of styles and colors which makes the product options just as if not more versatile than the Arc’teryx men’s line. The Arc’teryx women’s line is for those females who are serious about outdoor exploration and protection. The ZETA FL JACKET features a minimal design that uses GORE-TEX fabric and Arc’teryx own ZETA textile which is designed for hiking. The ZETA FL JACKET features a lightweight shell that uses a windproof and waterproof GORE-TEX for full range protection against the elements. The ZETA FL JACKET comes with an adjustable StormHood that can be acquainted to fit your needs at any moment. The ZETA FL JACKET is a great option for those who are looking for an easy to carry and lightweight jacket that provides maximum protection in harsh climates. The ZETA FL JACKET is great for technical outdoor explorations due to its very durable design. The BETA SL HYBRIS JACKET is a very comprehensive activewear piece that is very lightweight and versatile. The BETA SL HYBRID JACKET uses waterproof and wind-resistant GORE-TEX textile that provides a very powerful barrier against your body from harsh climates. The BETA SL HYBRID features a very efficient design that allows you to achieve and maintain maximum performance under any circumstance. 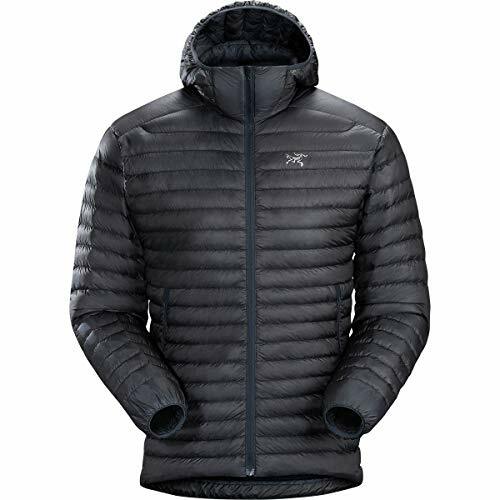 The BETA SL HYBRID uses an array of Arc’teryx essential fabrics which adds a layer of insulation for cold climates while further strengthening the durability of this jacket. The GAMMA MX HOODY was designed with wind-resistance and breathability in mind. The GAMMA MX HOODY features a mobile and robust design that is perfect for adapting to changing climates while exploring the great outdoors. The GAMMA MX HOODY uses breathable material that allows excess water vapor to escape easily while keeping you dry and protected. The GAMMA MX HOODY has integrated mid layers which are abrasion resistance and very flexible. The durable and tough shell of the GAMMA MX HOODY is made from fleece textile which insulated heat and keeps you warm in extremely cold climates. The hoody on the GAMA MX HOODY is wind resistant with those who want improved functionality in mind. Arc’teryx offers a plethora of other products in addition to their primary protective outwear gear. Unfortunately, Arc’teryx doesn’t offer any children’s or kids clothing options or accessories. Maybe in the future, we will see further developments in kids protective outwear from Arc’teryx but as of right now there aren’t any options available. Arc’teryx offers a very diverse product line that is designed to keep your entire body protected from external threats. The unique custom textile used in many of the Arc’teryx products provide impenetrable barriers that use textile technology to deliver maximum results. Arc’teryx is trusted by many professional athletes and other outdoor enthusiasts who are serious about staying protected while exploring nature. Arc’teryx apparel provides serious protection for your body and is known for maintaining its quality over long periods of time. Arc’teryx provides a limited warranty on all of its products that covers warehouse and manufacturing defects. The Arc’teryx limited warranty does not cover product damage caused by improper use or care procedures so keep that in mind before filing a warrant application. The Arc’teryx warranty states that upon inspection if the item is deemed eligible for warranty coverage that it may either be replaced or repaired. If you purchased an Arc’teryx product online and would like to file a warranty claim, you will be responsible for all shipping costs related to shipping the product back to Arc’teryx. Whether or not your item qualifies for warranty coverage, Arc’teryx will always cover the cost of shipping the item back to you. the Arc’teryx warranty covers apparel for the lifetime of the product so you’re never unprotected. It typically takes 4-6 weeks for Arc’teryx to process a warranty claim so be patient during the process. If your item cannot be repaired or replaced but is still eligible for warranty coverage, Arc’teryx will process a refund in the full amount of the purchase. Arc’teryx is very serious about the quality of their products and they work tirelessly to ensure that all of their pieces are protected. If you need more details about the Arc’teryx warranty and exactly what It covers, visit their official website to learn more information. Arc’teryx products are crafted using specialized textile fabrics that are exclusive to the Arc’teryx brand. These materials are very high-quality and provide solid layers of protection against an array of external threats. Arc’teryx products come in a variety of styles, sizes, and colors which makes their products very robust and versatile. Arc’teryx products incorporate textile technology into the fabric of the clothing that helps manage vital bodily functions without a hassle. Arc’teryx products are crafted by professionals who have years of experience in the industry which allows them to produce high-quality activewear that is practical. 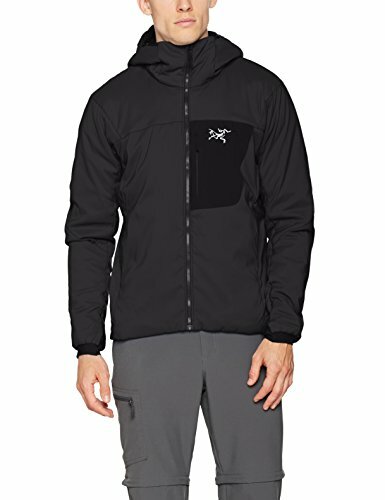 Arc’teryx is a proven brand that had been around for years, their dependable reputation backs up all of the claims made their clothing. Arc’teryx products cover a full spectrum of protection needs which is great because you can buy all of your gear in one place. Arc’teryx products do not come in children’s sizes so you can’t buy protection for your little ones. Arc’teryx products can be difficult to find in stores so you may have to buy online as your only option. Not all Arc’teryx products are abrasion resistant which may leave you vulnerable to unwanted threats. Arc’teryx products can be on the more expensive side however you are paying for a quality product. Arc’teryx products are not readily available in many physical retail stores due to their extremely niche market. Some of the best places to find Arc’teryx products are at local sporting goods stores and outlets who specialize in outdoor apparel. Alternatively, the official Arc’teryx website is a great place to but Arc’teryx gear and often times you may be able to find great deals on discounts that other places won’t offer. It’s best to do a search for local stores in your area who carry Arc’teryx products before purchasing them online so that you can at least try to the gear on before purchasing. The official Arc’teryx website also features a sizing guide and specific measurement details so that you can be sure to get an exact fit. Norrona produces a variety of high-quality activewear apparel and accessories for virtually everyone. Many of the Norrona products use GORE-TEX textiles which are well-known for providing unmatched protection against an array of elements and climates. They offer innovative outwear that utilizes modern textile manufacturing techniques and classic materials. Norrona has a primary focus on producing organically sourced clothing to reduce negative impacts on the environment caused by clothing production. The Norrona product line is available for men, women, and small children making it one of the most versatile activewear brands on the market. Norrona also uses recycles fabric in the majority of their outwear pieces to further reduce their impact on the overall climate pollution footprint. Norrona was established in 1929 by a Norwegian outdoor hobbyist by the name of Jorgen Jorgensen who was having a hard time finding durable outdoor wear to combat the harsh environment of Norway. Norrona started off slow, making simple outdoor gear such as canvas backpacks, cotton clothing, and leather straps. Jorgen Jorgensen was able to craft these items due to his prior experience in the business almost a decade earlier with a company named Polar who he started with a partner. Almost 40yrs later, Norrona has blossomed into was its creator had initially intended. Today, Norrona produces a wide range of different outdoor jackets and other sorts of activewear apparel for a broad audience. Norrona is great for those who ski, snowboard, climb, tour, and a plethora of other active sports and hobbies. Norrona has created their own textile manufacturing processes and design methods which further imprint their vision directly into their clothes. Norrona has a vision for providing practical protective wear that can withstand the elements and not give up. Norrona puts an emphasis on finish, function, and fabric to deliver high-quality textile materials that are definitely a cut above the rest. 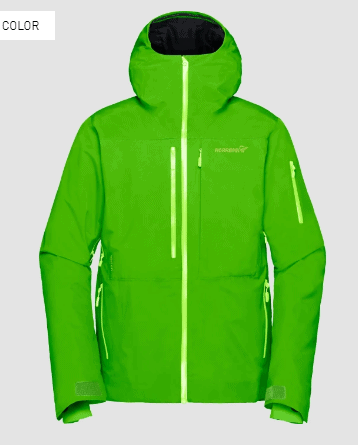 Norrona produces a lot of really high-quality jackets for men who want serious protection from outside elements. Norrona jackets combine lightweight materials that have very high durability ratings and resistance to extreme weather conditions. Norrona combines flexibility and versatility so that you have full coverage and the freedom to move without restrictions. The Lofoten Gore-Tex Insulated Jacket features a 2-layer shell that combines PrimaLoft insulation and high-quality Gore-Tex textile. The Lofoten Gore-Tex Insulated Jacket is great for skiing and freeriding due to its lightweight design and insulated interior. The Lofoten Gore-Tex insulated jackets also feature an under-arm ventilation design that keeps you dry and free from bad odors. The Lofoten Gore-Tex Insulated Jacket comes with hand warming pockets, goggle wipes, a chest pocket, and an interior mesh pocket for storing your accessories. The jacket also features a built-in snow skirt that keeps unwanted snow from reaching the inside of your jacket. The Lofoten Gore-Tex Insulated Jacket combines durability, breathability, windproof material, and waterproof material to provide ultimate protection against the elements. The Lofoten super lightweight down jacket features two hand warming pockets and snug fit to keep you safe. The Lofoten super lightweight down jacket is so thin and lightweight that you can either wear it as a stand-alone piece or underneath your existing clothes. The Lofoten super lightweight down jacket has a built-in isolation collar that protects your neck from unwanted exposure to harsh temperatures. The Lofoten super lightweight down jacket is super thin which makes it easy to carry and transport without a huge hassle. The Lofoten super lightweight down jacket also has a very high warmth-to-weight ratio which makes it very adaptable to varying body styles. The Lyngen Gore-Tex Infinium down850 is a comprehensive lightweight jacket that packs Gore-Tex Infinium technology that keeps the jacket proper configuration no matter what you throw at it. The Lyngen Gore-Tex Infinium down850 features a soft outer shell that is water-repellent, so it protected you against rain and snow. The interior laminate lining is crafted using a very breathable material that is lightweight and moisture wicking. The Lyngen Gore-Tex Infinium down850 is also packing a chest pocket, hidden 4mm zippers in the front pocket, and an adjustable hem lining that extends to the power stretch cuffs. The Lyngen Gore-Tex Infinium down850 provides maximum protection from practically all of the elements while remaining lightweight and breathable. Norrona also produces high-quality women’s performance jackets that combine the elements of Gore-Tex textile and innovative manufacturing techniques. Women also want style while they explore the great outdoors and Norrona completely understands this necessity. That’s why many of their jackets for women incorporate great pattern weaving and design elements. The Lofoten Gore-Tex Insulated Jacket features full insulation and a durable outer layer that protects you from external elements. The outer shell of the Lofoten Gore-Tex Insulated Jacket is crafted using 2-layer shell fabric that is recycled PrimaLoft material used as the primary insulation material. The Lofoten Gore-Tex insulated Jacket contains 2 layers of thickness that provide varying levels of warmth in certain areas of the body. The Lofoten Gore-Tex Insulated Jacket features underarm ventilation that provides consistent airflow to keep you dry and protected. The Lofoten Gore-Tex Insulated Jacket is perfect for freeride skiing or simply exploring extremely cold climates. The Lofoten super lightweight down jacket features 2 hand warming pockets and an isolation collar to add an extra layer of protection against the elements. The Lofoten super lightweight down jacket has a high warmth-to-weight ratio that keeps you warm all the way around. The Lofoten super lightweight down jacket is so thin that it can be worn as an individual piece or underneath your primary clothing. The lightweight design of the Lofoten super lightweight jacket makes it extremely easy to transport and travel with. The Lofoten super lightweight down jacket has a very snug fit that doesn’t lose its grip over time, the Lofoten super lightweight down jacket is great for snowboarding or big mountain skiing. The Lyngen down850 Hood Jacket features full insulation and a high warmth-to-weight ratio. the Lyngen down850 Hood Jacket has an adjustable cuff and hem tightening technology so that you can achieve the perfect fit with minimal effort. The Lyngen down850 Hood Jacket has a hood that can be adjusted with one hand for maximum convenience. The Lyngen down850 Hood Jacket has a built-in outer chest pocket that makes it easy to store small accessories and items. The Lyngen down850 Hood Jacket is super insulated which makes it perfect for extremely cold climates. Aside from their traditional activewear jackets, Norrona also produces an array of other products. Norrona is one of the few outdoor apparel brands that feature products for children. The Norrona kids collection only includes jackets, pants, and socks all designed to keep your little one safe, warm, and protected against the elements in any situation. For men and women, Norton has a huge selection of pants, t-shirts, vests, shorts, headwear, gloves, jackets, accessories, socks, and sweaters. 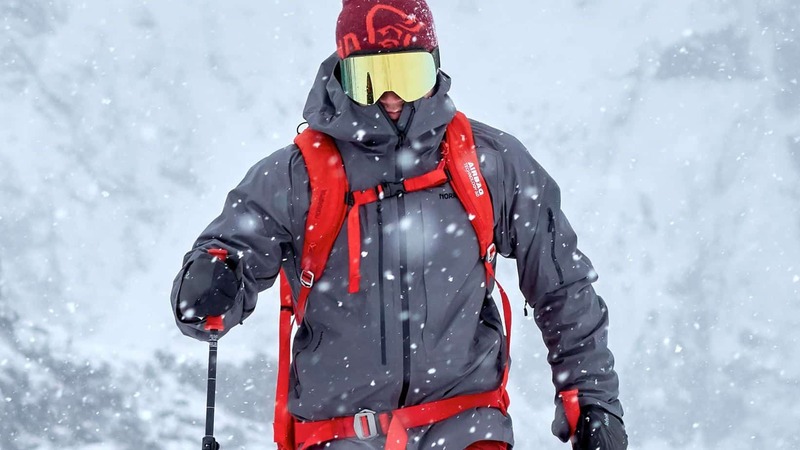 The Norrona product line is a very robust set of uniquely designed clothing options that provide full range protection and support against the harshest of climates. Every Norrona products come with a standard 5-year warranty that protects you against manufacturer and material defects. The Nortons 5-year warranty does not cover normal wear and tear or defects caused by improper care procedures. It typically takes about 14 days in total for your warranty claim to be processed and deemed either valid or invalid. The 14-day window is from the date that Norrona receives your defective product back at their warehouse. Damages caused by improper or reckless usage can be repaired however it will cost you. If your product meets the warranty criteria, Norrona will decide on whether or not it’s best to replace or repair your item. All products must be washed before being submitted for a Norrona warranty claim otherwise your claim will be rejected. For more information about the Norrona warranty, visit their official website. 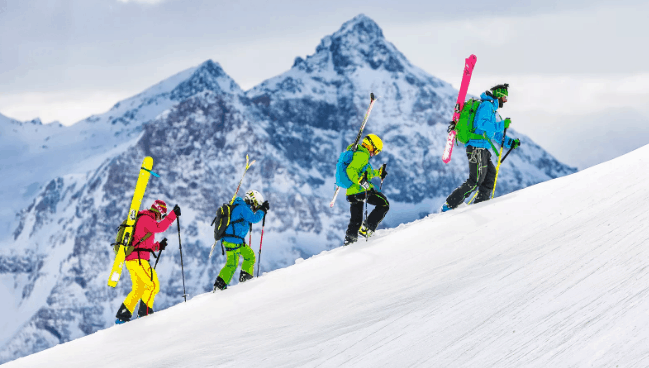 Norrona products are crafted using unique textiles that provide all-around coverage for an array of different activities. Norrona products feature intuitive designs that take into account a wide range of protective features. Norrona products come in an array of sizes, shapes, colors, and configurations specially designed for particular environments. Norrona products are available in men’s, women’s, and kid’s sizes which adds versatility to their entire product catalog. Norrona products are covered by a default 5-year warranty which is more than what most other outdoor apparel brands offer. Norrona products use Gore-Tex fabric to provide insulation and heat management that you won’t find in certain competing brands. Norrona products are great for extremely cold environments and active winter sports such as skiing. Norrona products are lightweight yet very durable and some pieces come with abrasion resistance built into the material. Norrona products are waterproof, windproof, rainproof, and snow proof making them very adaptable to changing climates. Norrona products do not offer plus sizes so people with larger body shapes don’t have many options. Norrona products are hard to purchase due to their very tight niche market so making a purchase may be difficult. Norrona products are quite expensive and they don’t have many affordable options that provide the coverage you need. Norrona products exist in a very unique niche market which makes the products hard to come by in your average retail shop. While some specialist outdoor retailers do carry Norrona products the number is very far and few in between. The best place to purchase Norrons products is online via the official Norrona website, they have a huge selection. The official Norrona website also features a detailed styling and sizing guide so you can make sure that you’re receiving the right fit all of the time. You can do some research to find out whether or not a retailer in your area carries Norrona products however if you can’t find one you will have to purchase them online. The official Norrona website also offers customer support so you can speak with a company representative if you have any questions before purchasing. Both Norrona and Arc’teryx offer a wide range of outdoor apparel that is durable and intensely crafted. Both companies have been in the industry for quite some time making comparing the two that much harder. One thing you’ll notice in Norrona products is that many of them come with standard 2-layer insulation that is combined with further protection. When looking at Arc’teryx products, you have to select a particular style to get the insulation rating that many Norrona products offer as a standard feature. Arc’teryx has the advantage over Norrona in terms of their high-performance textiles that are exclusive to the brand. The practical way that Arc’teryx products perform are very hard to beat and Arc’teryx also generally has lower prices when compared to Norrona products. Norrona also has an advantage over Arc’teryx in the fact that they offer a kid’s line which you won’t find with Arc’teryx. 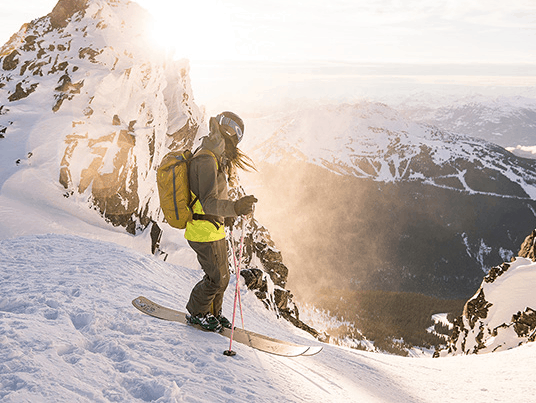 Arc’teryx beats Norrona products in the department of warranty coverage as Arc’teryx products are covered by a practically lifetime guarantee while Norrona products only offer 5-year protection. Norrona also beats Arc’teryx in the department of abrasion resistance, very few Arc’teryx products come with built-in abrasion resistance however Norrona adds this feature into a lot of their jackets as part of the standard configuration. When you take out factors such as price and warranty coverage, Norrona seems to offer more well-rounded products that provide full protection as part of their standard design. The very unique design styles and pattern found in Norrona products offer streamlined lightweight protection that comes at a reasonable cost if you are serious about your outdoor explorations. Norrona also has a very large product catalog and offers apparel for a broad audience. Norrona products also offer abrasion resistance which is almost a necessity when adventuring in unpredictable climates. Norrona puts an emphasis on environmentally friendly production of their products which is a huge plus considering that they make outdoor apparel. The fact that Norrona offers kid’s apparel shows that they are serious about making quality active wear for all people. Unique styles are also a hallmark of the Norrona brand in the way that they are able to combine fashion with high-performance apparel. Norrona products are very functional and provide enough freedom for you to move while not cutting corners on material quality or protection. Norrona has a huge selection of various apparel options and accessories which makes them one of the most robust activewear brands on the market. Norrona’s core brand values are perfectly executed with each piece of clothing they release not to mention their standard 2-layer shells made from recyclable materials. Norrona is a company that gives you the protection you need with no fancy claims or non-functioning textiles just to sell a product. Norrona is a brand that you can support and feel good while doing it, their vast product line in combination with their dedication to helping the environment is matched by no other company. Norrona is perhaps one of the most comprehensive and fully functional activewear brands available on the market today. Norrona provides easy to use customer support and has a strong sense of what their customers want. Their official sites are always offering exclusive deals and discounts on their products which gives you all the more reason to order from them directly. Norrona products are built with durability, versatility, and longevity so you can be sure that your Norrona jacket will last a very long time as long as you take care of it. A company with good values that truly honors their customers is hard to come by, Norrona meets this expectation with ease and is an exceptional contender to the legendary brand Arc’teryx. We usually give Arc’teryx every win simply because they deserve it. But today, we are giving Norrona the gold medal. 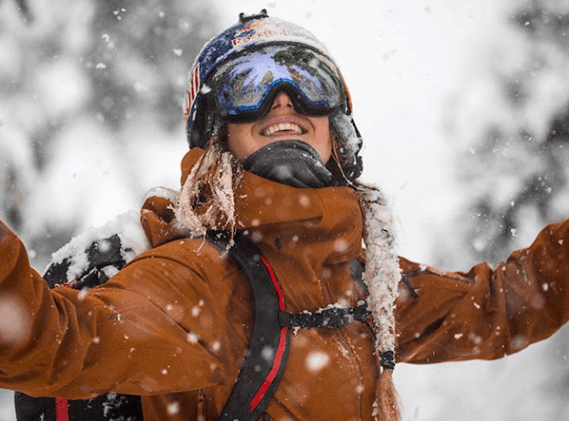 Not only is their gnarly outerwear very functional and effective in harsh winter conditions, but it is also a bit more affordable and practical for the everyday customer. So today, Norrona takes the cake! You can pick up an awesome Norrona jacket here! Which jacket company do you prefer? We would love to hear from you!